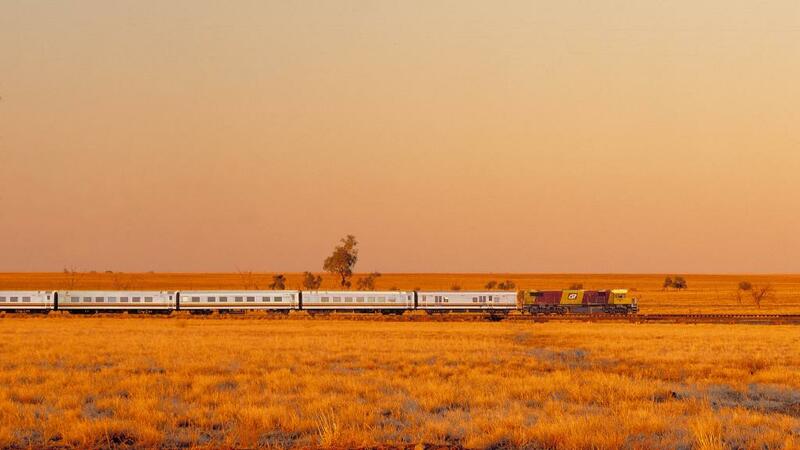 The history of Australian trains is a long and complex one which dates back 200 years. The first rail systems in Australia were constructed when the majority of the country was little more than sparsely settled colonies until 1901 when they united to form a Federation of States. Up until the mid-1800s, people travelled around Australia by coastal shipping services or horse-drawn transport. The first steam railway began in 1854 from Melbourne to Port Melbourne and from there, the various colonies’ railway systems began to rapidly develop. To begin with, all rolling stock and track were imported however by the 1880s, most equipment was made locally. Initially the railways were operated by private companies however a shortage of speculation capital saw railway developments being undertaken by the governments of individual colonies. Originally the purpose of the rail development was to connect major export seaports in capital cities to the hinterland. But planners failed to consider how they would eventually connect their own railways with other rail systems. By Federation in 1901, over 20,000 km of track had been laid and all Australian states other than Western Australia were finally ‘linked’ by rail. Unfortunately, those who had imagined a nation had not considered a national rail network and as such, three different gauges had been used. New South Wales had used European standard gauge of 1435 mm while South Australia and Victoria had gone with the Irish broad gauge of 1600 mm. The remaining states had adopted a narrow 1067 mm gauge. For many years, the differing gauges hindered the effective operation of rail services interstate. For example, a person wanting to travel from Brisbane to Perth in 1917 would need to change trains six times. State rail systems were significantly incompatible due to their independent development and there were problems not only with gauge but also with operating practices and equipment. WWII brought this incompatibility to a head when large quantities of personnel and goods needed to be moved quickly throughout the country to assist the war effort. However it wasn’t until the 1970s that there was a sufficient improvement that would allow a passenger to travel from Sydney to Perth and remain on the same train. In fact, it wasn’t until June of 1995 that trains could travel throughout the country on a standard gauge track. Even now, there are still three different gauges in use in Australia, but the state capitals are now thankfully linked by one uniform gauge.